Kermit the Frog: While the popular narrative is that Kermit was plucked right from the swamp, he actually received an undergraduate degree in theater and banjo music as well as a Masters in Business Administration. All of that tuition quickly adds up, and Kermit was derailed in his loan repayment plan by another large savings goal: a diamond engagement ring for a certain pig. Fozzie: Before meeting Kermit, Fozzie made a series of poor investment decisions straight out of school. The biggest was an ill-fated rubber-chicken factory that was shut down by inspectors due to excessive levels of latex. Fozzie has defaulted on his loans twice, borrowing money from Kermit both times. Miss Piggy: Miss Piggy is trying to get back on track after deferring her loans for several years while trying to break into show business. Her expensive taste in fine clothes and jewelry aren’t helping matters. Fortunately, after joining The Muppets, she’s garnered enough endorsements that she’s now on a strict repayment plan. Animal: Every time Animal is handed any money, he eats it. Gonzo: Gonzo’s love affair with Camila left him so smitten that instead of paying his loans, he bought a large free-range chicken farm in San Bernardino so he can raise a family. Now he’s trying to get back on track, but he likes to pay his loans in pieces of lint and tinfoil. Sallie Mae has told him repeatedly that this is not, in fact, currency. Dr. Teeth: Dr. Teeth defaulted three times on his loans as he tried to get The Electric Mayhem started. And he’s only falling further behind, as most of the proceeds of their concert tours are still going to car payments on the band’s psychedelic-painted bus. Dr. Bunsen Honeydew and Beaker: Each month, Dr. Honeydew gives his assistant, Beaker, his loan check to put in the mail. Believing they are part of a long-term experiment, Beaker has left them in the freezer of their chemical lab. Subsequently, the pair has never paid any loans and are in quite the financial emergency. Statler and Waldorf: Statler and Waldorf have avoided paying their loans since 1948 by calling the collectors and heckling them into continual deferments. It’s unclear who will inherit their debt when they pass. Sam the Eagle: Has never defaulted on his loans. Not paying your loans is un-American. Matt Grant is a writer. He lives in Brooklyn with his wife and every other writer in the world. Matt is a staff writer for LitHub and is still waiting to go viral on Twitter. Follow him @mattgrantwriter. 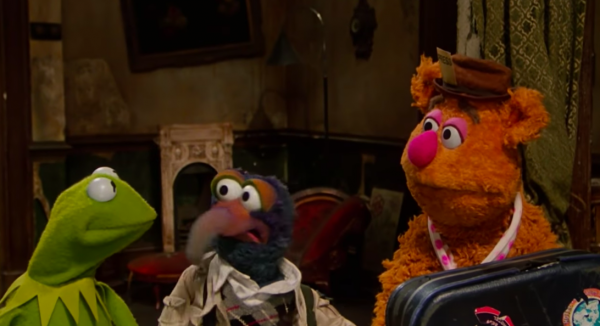 Photo credit: The Great Muppet Caper screenshot.